The ‘Fontus Jewels’ collection is marked by a radiant emerald cut Antwerp Diamond or Fancy Gemstone, floating in its signature setting for maximum visual effect. Strong architectural lines, reminiscent of Art Deco, make for a remarkable juxtaposition. The accompanying Antwerp diamonds add even more splendor to the design. These defining rings have everything it takes to become a classic. The center stones are carefully selected for optimal colour, radiance and format. Jewels in the Fontus collection are available in yellow gold (18 kt) but also in white, red or rose gold or combinations thereof. The ‘Fontus’ collection is derived from the original artworks – jewels made by Nancy Allewerelt ©: ‘Fontus & Thalia’ ©. Certainly these finest of handcrafted rings are intended for those we appreciate fine things, and not for the mass market. Every jewel made by Nancy Allewerelt is unique. 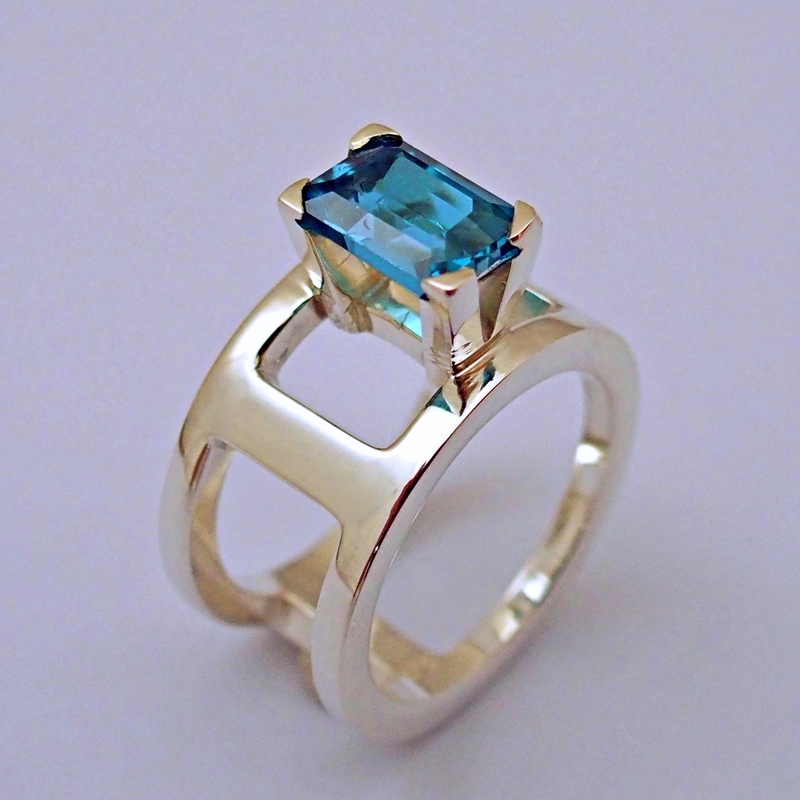 Even more so due to the nature of the gemstones: no two natural gemstones will ever be alike. On top of that items can be tailor made to your own personal specifications. ‘Nancy Allewerelt ™’ is a proprietary trademark. The original artworks, reproductions and derived products & collections, as well as the name of the artwork and derived products are copyrighted in accordance with Belgium law (EU) legislation. ‘Fontus’ © Nancy Allewerelt - all rights reserved. For more information go to: intellectual property.